It is often a headache for the more veteran players to introduce new players to the game. Not that it isn’t fun, on the contrary, but what quests will you play with them? With over a hundred quests released at this time, you will have to choose a quest that is both fun, and also conveys the spirit of the game a little. But what quests should you actually pick that meet this balance and might convince your newer players to go and get invested in the game? In this article, I will go over both mine and the community’s favourite testing quests, and briefly explain why these quests are good to bring new players to. This will only leave you with the question of what deck to give them, which may be a story for another time. There are a number of factors that are important to consider when picking a scenario for new players. The first one is the length. Newer players will probably have a relatively short attention span for a game of this scale, so drawing out a game by stalling may seem a bit boring to them. This rules out quests like Ruins of Belegost, that can take forever to complete. A short game to introduce them to this game is usually best, as the action will be quicker, and they get to do more. Because of this, consider going just 2 player for their first game. This prevents players from getting bored when waiting for their turn in a 4 player game. It is also generally easier for them to understand, as less trigger tend to happen. The second factor is the difficulty. 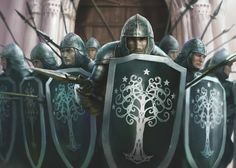 While it is good to give the players a taste of how unforgiving this game can be, don’t start with Attack on Dol Guldur. Winning against such quests is rare, and even rarer when playing with a new player who doesn’t know what a card does. However, if you only have the chance to play 1 game with them, an easy quest might also be a bad idea, as they will underestimate the game and think it will be boring. If you do get the chance to play 2 or more games before they make a decision, run them through an easy quest first, before raising the difficulty level of your quest. This can be done by first going through a scenario in easy mode, and then Normal/Nightmare, or by picking another quest altogether. Third of all is the theme of the quest. If the new players are well versed in the books and the movies, it may be worthwhile to pick a Saga quest, just to give them the feel of how this game captures the lore of the original works. If the players are not as big a fan of the books, you could ignore this factor and just play a regular scenario. But adding characters and locations that feel familiar can give the game a feel to them that is different from your generic game. FFG has the licences, after all, so you might as well show them around. Finally, have your quest have different stages which breaks the monotony of a quest. This would rule out most quests with a single quest card, like Hills of Emyn Muil. Changing the quest stages can make the game feel more dynamic, allowing the players to be more immersed in the game. Climactic changes like Foundations of Stone’s Washed away or getting robbed during Dunland Trap. So with those criteria out of the way, here are a couple of quests that have been selected by the community as good quests for new players. I have a blog, so I can voice my own opinions here, fight me. I have introduced a couple of friends to this game, and here are some of the quests which achieved that goal. I double checked these quests with a survey, and the community consensus tends to agree with me on most of these. So let’s start off with the first quest. And with that, I do mean the first quest. Passage through Mirkwood was the first quest many of us have played and is widely regarded to be the easiest quest in the game at the moment. Passage through Mirkwood is a beginner level quest and allows the new players to get an easy start. If players never even reveal Ungoliant’s Spawn, the game might even seem easier. This can lure new players into a false sense of security, underestimating the game. After they have beaten Passage, take them to Journey Along the Anduin to have them face the Hill Troll and watch that glitter in their eyes die away. This quest is also not recommended for new players with arachnophobia, as some of the art might then be a turn off for some. However, if you have limited time to introduce quests to new players, pick this one, as it won’t take very long. This quest will always have a special place on my shelves, just because it is a great quest if you have the time for it. For new players, this quest will start off easy, but once the twist happens, they are suddenly on their own. This quest has some great theme to it, allowing newer players to experience how a story can be told through a card game. If you decide not to spoil anything about the quest, it can make for some great moments. Yeah, this one is pretty obvious and I have used it for many new players as an opening quest. Not only is it more thematic than Passage through Mirkwood, it is also slightly more challenging, with shadow trains and location lock as potential ways to lose. 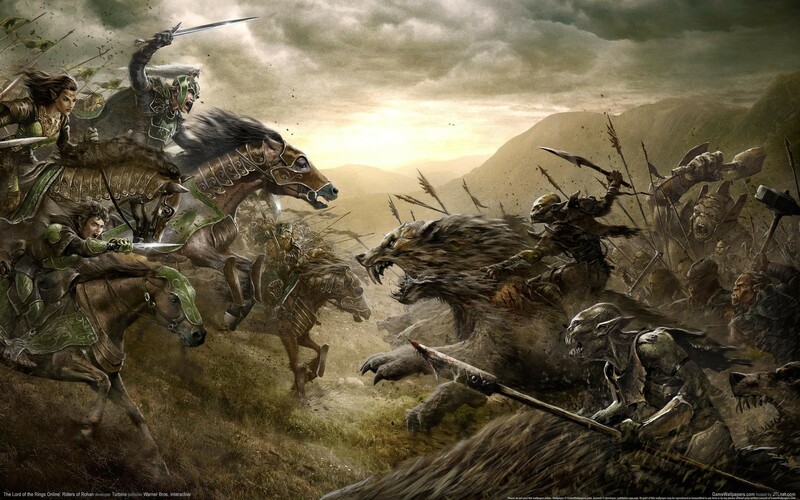 Rescuing villagers from an Orc raid should be recognisable to the new players, so they can quickly grasp the theme that the scenario tries to create. It is not the hardest quest either, making for a short and often (but not always) successful game. This is for the slightly more advanced newer players who have already got some grasp of the game and want to explore some more advanced mechanics. Sailing tests and Ship enemies make for a completely new scenario than the previous games you’ve played with them, and having them control part of the fleet is great. I picked this one because it is the easiest Sailing quest out there, but don’t be afraid to use Flight of the Stormcaller as a testing quest for players who have some experience as well. For the thematic players out there, I included this scenario. While it may be a bit on the long side, it features many recognisable moments from both the books and the movies, making for an easy hook for thematic new players. The Council of Elrond is great fun to play with multiple players and teaming up to destroy the Watcher feel super climactic. This may be a good second quest for introducing players, but it will for sure create a lot of fun moments. In preparation for this article, I posted a survey to find the favourite quests according to the rest of the community. This also served as a check to see if my picks were accurate. The community had a couple of quests that I either forgot or haven’t played yet, including both new quests from the Two-Player Collectors Edition. Ok, I didn’t fully forget this one, but this quest is such a staple for new players that I had to include this one as well. I personally tend to run this scenario after I have done Passage through Mirkwood, and I love the look on their face when they first encounter that Hill Troll. Many players also like how this quest balances combat with questing, with every stage requiring something different from your decks. Give this one a go, as it is of moderate difficulty, and will require some coordination to pull off. If they think 1 Troll is bad, try 4 at the same time. Have them do 2 runs of Conflict at the Carrock, the first at their own pace, and one with a turtling strategy so that they learn about patience and building up your board state. The quest is a lot of fun and will make for some important decisions on what Trolls to take out first. It should also not take too long on the first attempt, allowing the players to learn a bit of strategy and adjusting their pace accordingly. Though it is a favourite of mine, I did not feel like including it on my own list, but apparently, you guys found this to be a good starting quest as well, so here we go. Into the Pit will require a lot from the players, but they will recognise some locations from the scenario, and might love the option of the Cave Torch. The Goblins will swarm, giving them a lot of smaller targets to kill. The quest is a lot of fun with some strong decks, and while you may not win on your first attempt, it shouldn’t take many tries to get it right. I personally do not own the Collectors Edition starter set, so I am relying on the survey here and the stories about the quest that I have heard. The Oath seems to be a relatively easy quest with a lot more flavour than Passage, making for a quick game. While the Caves of Nibin-Dûm may be a bit more difficult, it is a good quest to follow up on the Oath. You will have to clear locations in order to progress, making it obvious why you are travelling. Both quests together can make for a confined story arc, spending just a night playing the game. This is easier than playing through an entire cycle or the Saga campaign. Hunt for Gollum: Not overly difficult, but can be a good filler quest, especially if you haven’t played it in a while. Stewards Fear: Highly thematic, and good replayability, though it can be difficult. A Shadow of the Past: Why not start with the start of the campaign, they’ll have to finish it, right? Right? I also asked in the survey for tips that the community would give to new players. Here are some of the more common answers related to playing with new players, but also concerning what decks to hand them. Be prepared to lose. I second this statement, as this game is far from easy. Alternative universes are allowed, just to show players how the game would have progressed if they hadn’t revealed that card or had taken that attack undefended. Letting the players experience how unyielding this game can be might turn them off at first, but it makes a victory during your second run sweeter. Hand the new players a mono-sphere deck. This gives them something less to worry about. All their cards will be the same colour, making it easier to play cards from their hands. Multiple people gave this advice, so have a couple of mono-sphere decks ready for newer players. This allows them to focus on a specific aspect of the game. A mono-Tactics deck will allow them to wreck some enemies, which is often satisfying. For the more supportive style players, a mono-Lore or a mono-Spirit deck can help the other decks survive longer. Let players learn the hard way. This means that you do not sit on top of them and pilot the deck for them. If they think they can take an attack undefended, let them do that. You can explain the consequences afterwards. Just have fun. Of course, this is the main cause to why you are playing the game. Don’t force them into it if they rather play something else. It must be fun for both parties, else you won’t hook the players. Jokes and brakes can make the game seem more open and more fun. Take your time to let them look at the art, which is also a great pull for newer players. Try to explain the steps of the round as you go along. You can have your Core rulebook next to you where they can track where they are in the round, and what is next. Instruct them in the first rounds, and let them take over in the later rounds when they get the hang of it. Again, be ready to lose. I will mention this one again, as the difficulty of the game can quickly be underestimated. If you do happen to lose to a scenario, build different decks with them and try again. Hopefully this time you will win, but if not, repeat the cycle until you do. Let the new players decide how to engage enemies and where to travel. This gives them the feeling that they are also in control of the game, instead of you piloting them. If the engagements are not possible in the way they like, tell them, and adjust accordingly, hopefully, they pick it up quickly and can do decent engagements next round. You can try to tell a story based on the cards revealed. This gives the game a lot more of a D&D feeling to it. If you happen to be a DM often or are a great narrator for games like Werewolves of Miller’s Hollow (I believe that is the correct game, it’s called something else in Dutch, anyway, it appears I am a great narrator for that game, hence the inclusion) you can give the game an extra layer of depth with that. The game even helps you by adding flavour text on many cards, read it in dramatic voices for bonus points! 75% of players introduce the game in Normal mode, with the rest resorting to easy mode for the newer players. About 60% of the players play the game together with 1 new player as a two player game, supporting each other in the scenario. 15 quests were chosen by just 1 participant for good quests to bring to new players, I did not include them in the list, but know that this list is therefore not limited to just these quests. Feel free to take the players up against something else to shake things up. I hope this article helped a lot of you for introducing new players to the game. Feel free to supply the readers with your own experiences and tips in the comments below. I’d also like to hear if these tips have helped to snare new players to this wonderful game. I’d like to thank everyone who participated in the survey. This made a great list of quests that can be used for introducing new players. Your extra tips were also highly appreciated. Thank you!